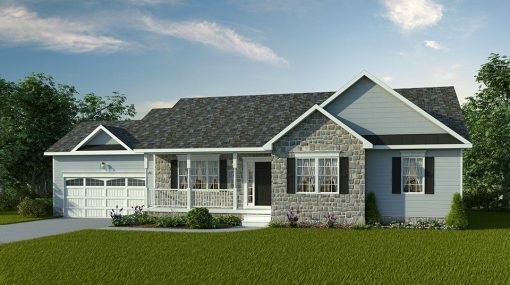 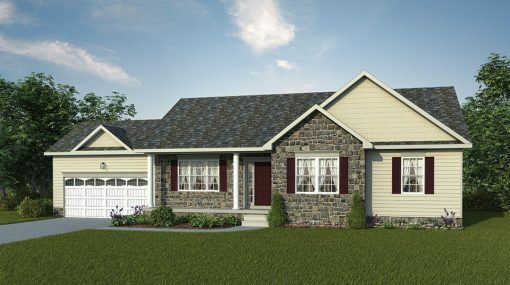 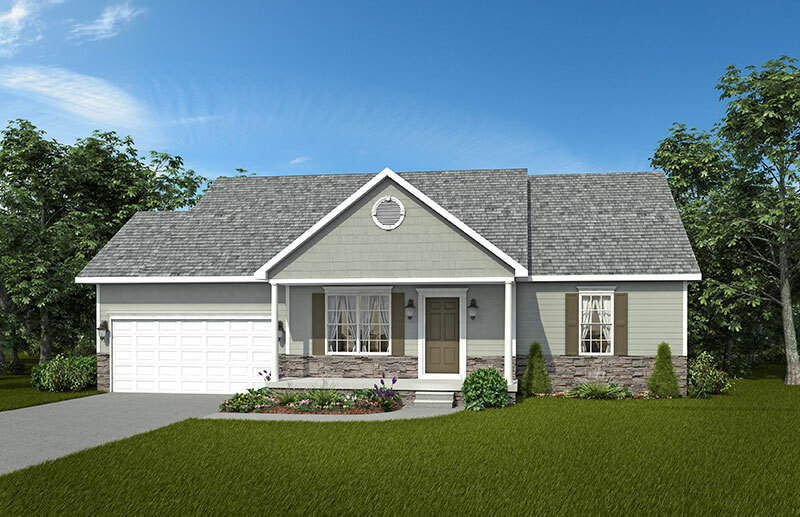 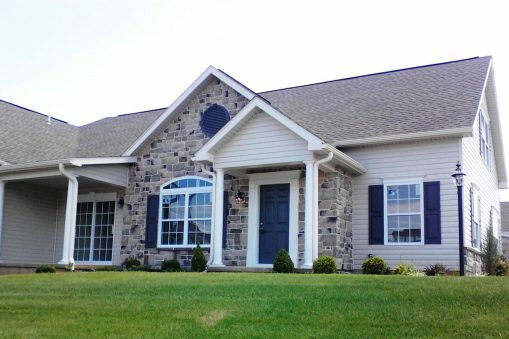 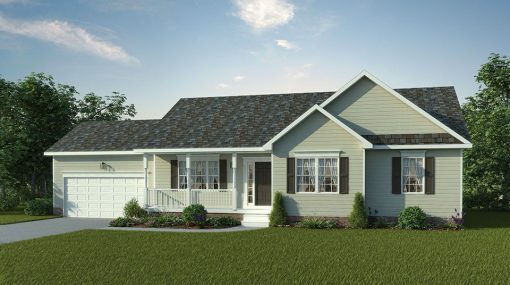 The Madison’s versatile floor plan spans many age groups and lifestyles. 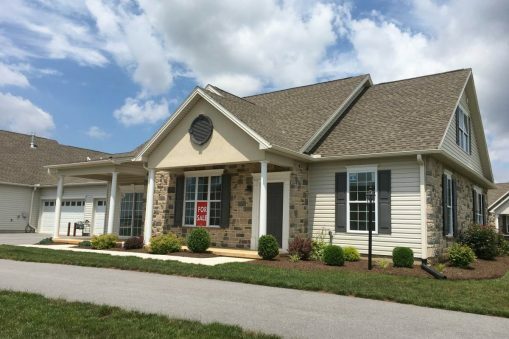 The first floor owner’s suite and laundry area give it great appeal for “empty nesters,” but it’s just as perfect for new families with children since the two other bedrooms are located near to both the owner’s suite and the kitchen and laundry. 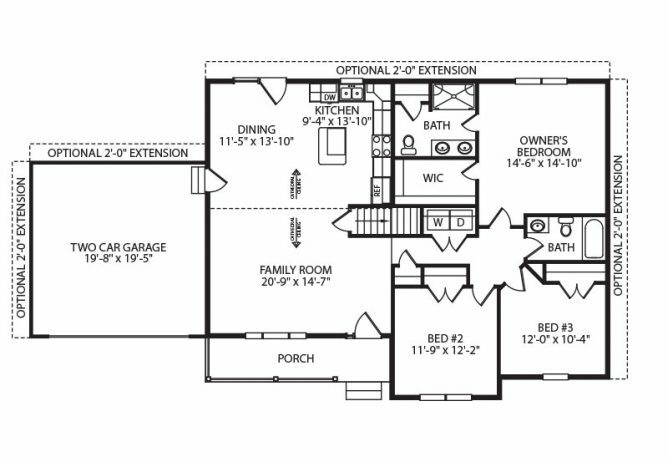 Look closely at the open kitchen/dining/living area, and note the space for a table and chairs in the kitchen as well as a more formal dining area near the living room. 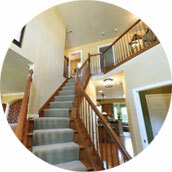 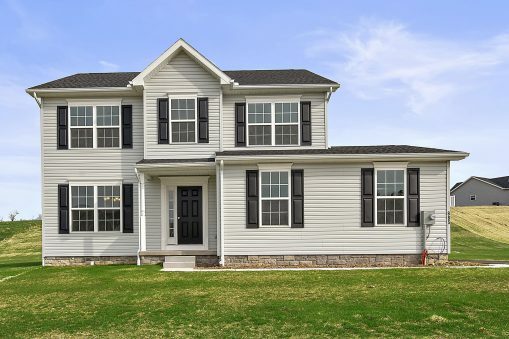 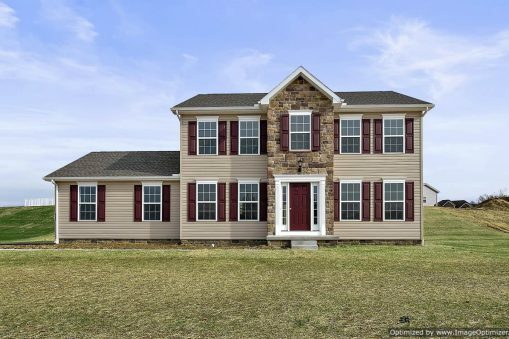 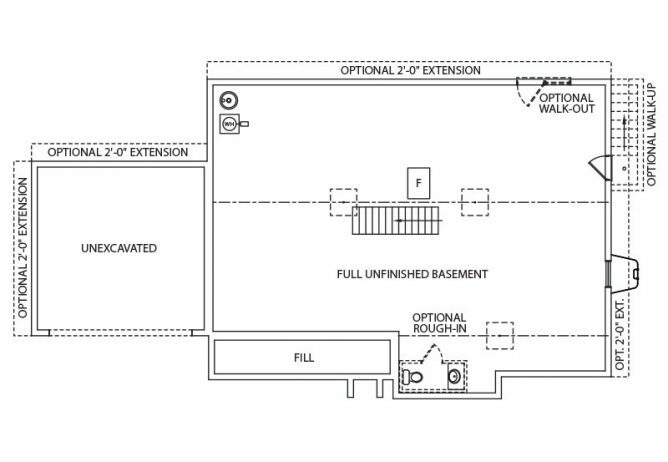 If you like the floor plan, but want a larger home, ask J A Myers about a 2 ft. extension and perhaps a 2-car garage. 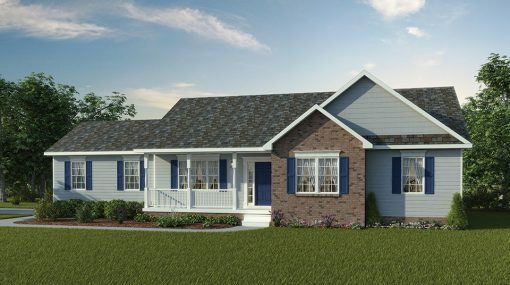 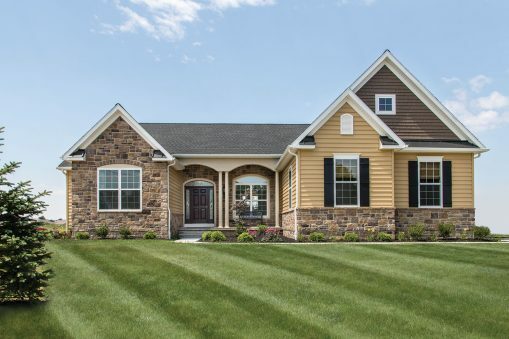 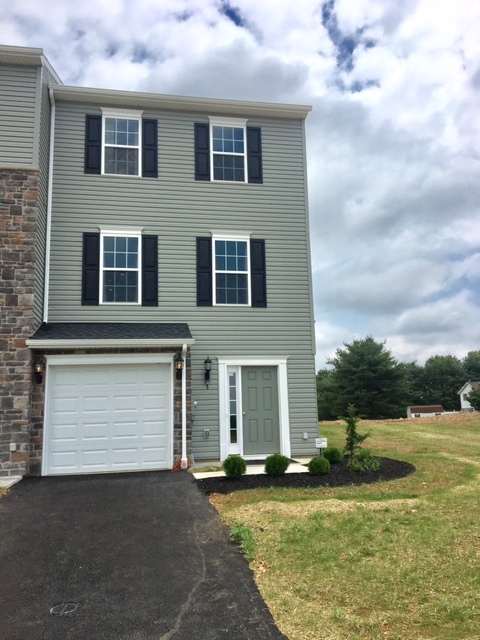 As “The Builder of Choices,” Myers will adapt this or any of their floor plans to your specific needs, as long as the changes do not interfere with the structural integrity of the home, fit your lot, and stay within your budget.